Learn to play the drums! This color-coded set makes it easy to learn with included music book. Kids will learn coordination and concentration, and develop a love of music without skipping a beat. Play and practice anywhere! 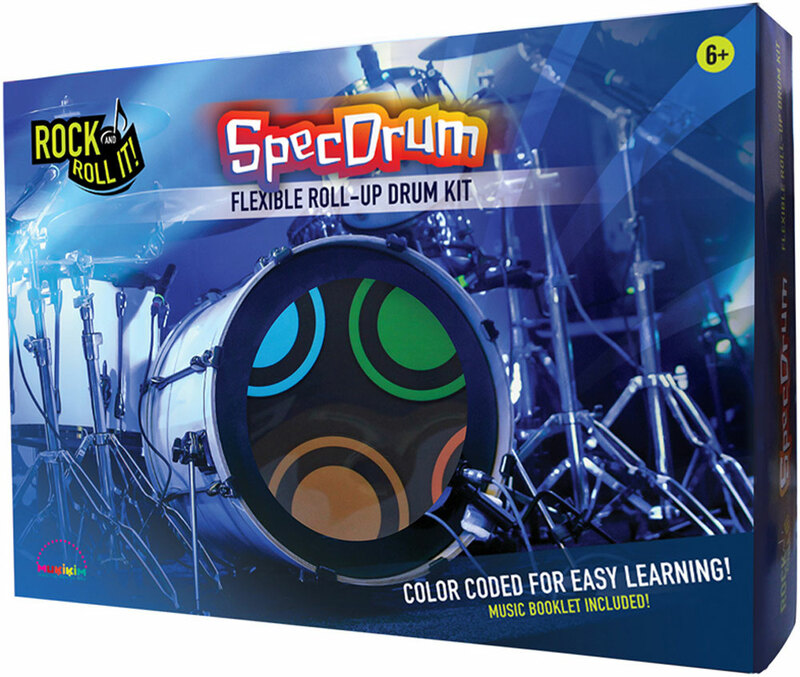 The SpecDrum features flexible roll-up design, battery and USB power options (cord included), and audio input/output (headphones included) for fun, portable, on-the-go rock sessions! Professional sound and feel, as this set features multiple drum sounds, professional demos, instrumental accompaniment tracks, record and playback, audio input and output, and even connects to MP3! There are designated pads and pedals for crash cymbal, high tom, open/close hi-hat, snare, pedal hi-hat, dual crash cymbals, low-mid tom, ride cymbal, low floor tom, and bass drum. 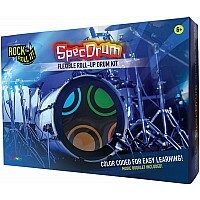 Play-by-color fun includes a rhythm book, instrument tracks, record-and-playback modes, headphones, footpedals, and drumsticks. Requires 2 AAA batteries, or USB-powered. Measures approximately: 6.50 x 13.00 x 3.00 inches..